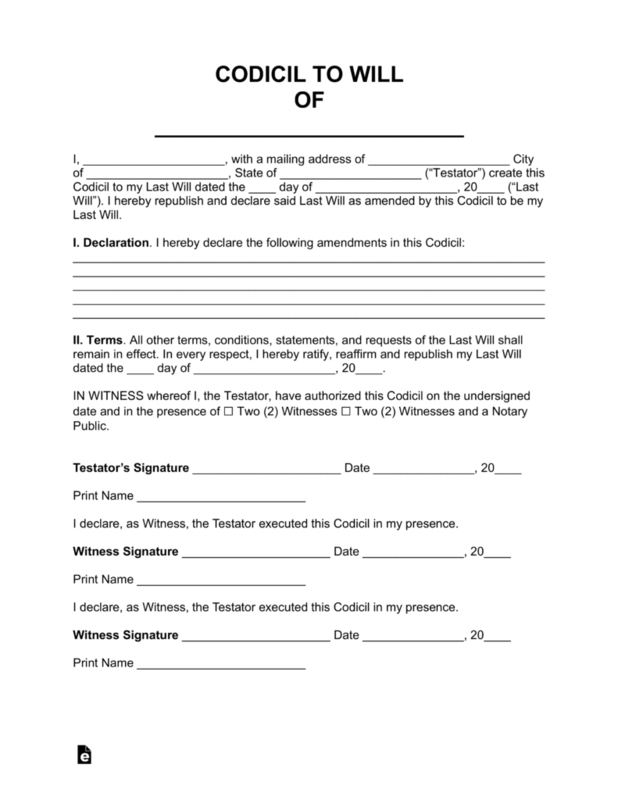 A codicil allows an individual, known as a ‘testator’, to make amendments or modifications to their Last Will. This is common when the testator has decided to change the terms of their estate or if a beneficiary had died. It is required that any codicil that is made to be executed in accordance with State law or with a self-proving affidavit. 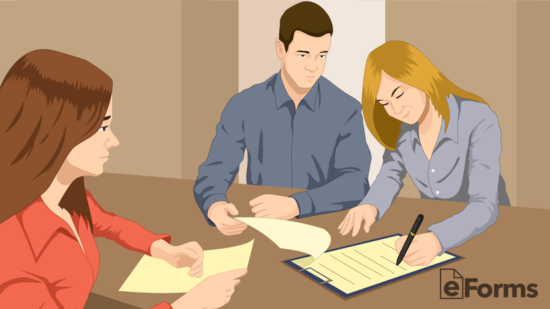 This usually involves the testator signing with at least two (2) witnesses, which are not mentioned in the Will, and a notary public. Afterward, the codicil is attached and made part of the Will. 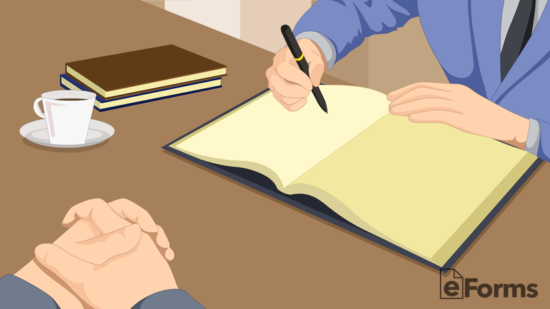 Signing Requirements – *Two (2) witnesses that are not mentioned in the Will (*Colorado and Louisiana require the witnesses to sign in front of a notary public). Self-Proving Affidavit – Recommended, but not required, to be completed, signed, and attached to the Codicil. This affidavit requires the witnesses to state, under oath, that they viewed the testator sign the form. This must be completed in the presence of the witnesses, the testator, and a notary public. Amending a Will is actually a lot easier than a lot of people expect and does not involve re-drafting an individual’s entire estate plan. 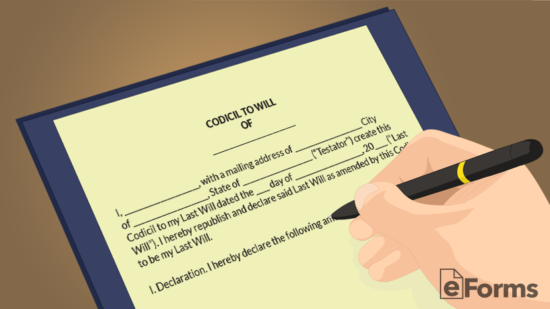 The latest version of the Will is needed with the changes to be mentioned in the Codicil. Afterward, the testator will be required to sign in accordance with State law. The effective date from the Last Will along with referencing the sections needed to be changed is needed in order to complete the codicil. 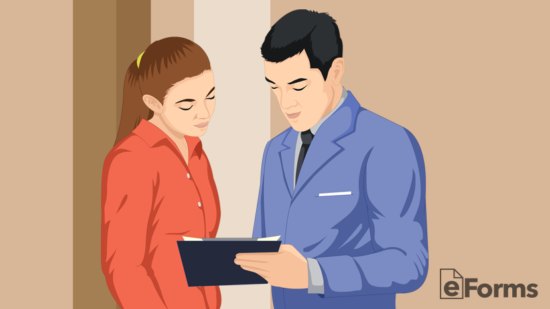 Therefore, the testator will need to find an original copy and is recommended that he or she give it a quick read-through to ensure there aren’t any other items that need changing. With a codicil, anything can be amended in the Will. Examples include the personal representative, executor, beneficiaries, or any other part of the estate transfer. Make a note of the Sections and language that needs to be changed. It’s required in the Codicil for the specific sections be referenced. 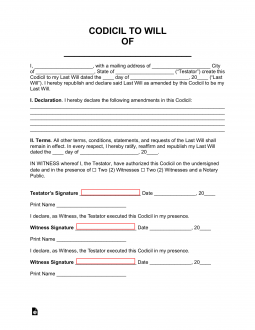 Signing the Codicil requires gathering two (2) witnesses (witnesses cannot be listed in the Will) and have them watch the testator sign. Afterward, the witnesses will authorize. Self-Proving Affidavit – If the testator wants to add an extra layer of security, he or she can elect to have this attached which makes the witnesses state under oath that they watched the testator execute the Codicil. In addition to the two (2) witnesses, a notary public is required to be present for the Self-Proving Affidavit to be valid. The last step is to attach the Codicil to the Will and distribute the estate plan to family members or beneficiaries that were mentioned. As a safety precaution, it’s recommended to give a copy to the testator’s personal attorney for safe keeping. At this point the amendment has been successfully made to the Will.